I've just upgraded iTunes 11.1. On the first look it appears that the features of managing individual podcast download may had been broken. After some exploration, I've discovered that there is a new way of managing podcast. Listed below is some of the new interface I've discovered. 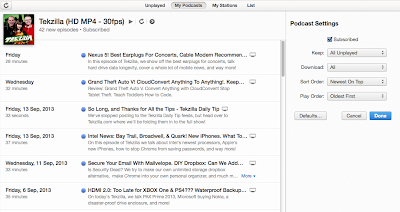 If you are using a list view for managing podcast, you'll be disappointed because you cannot manage individual podcast download here any more. You can only set the default podcast here. 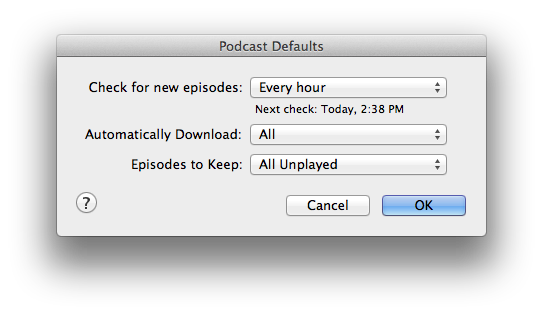 To set default podcast, click settings. 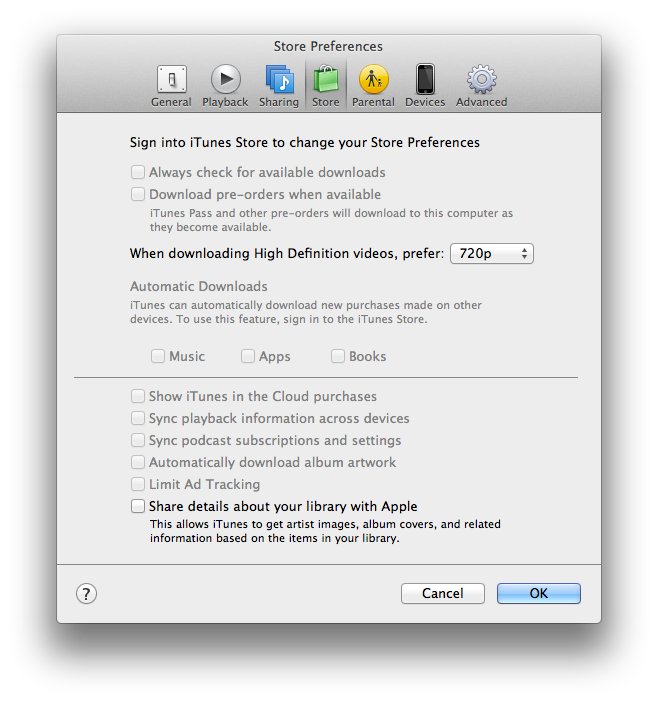 and choose how you want the default podcast to be download. 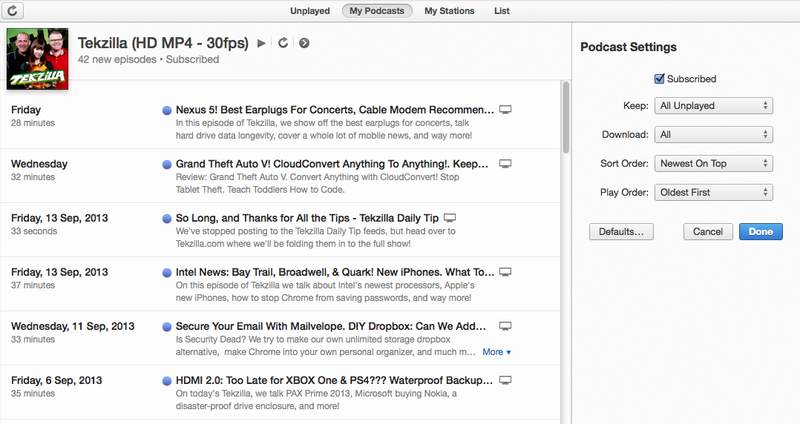 Previously, to manage individual podcast you need to select each podcast on the list and click settings. 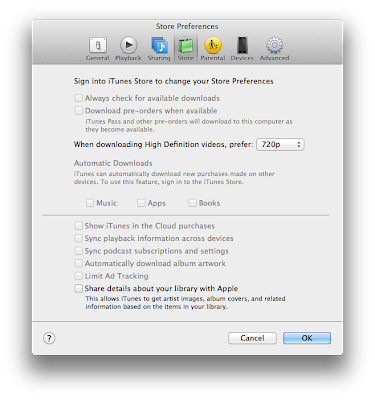 In iTunes 11.1 there is another way for you to manage each podcast. Please note that your previous podcast settings is not lost. 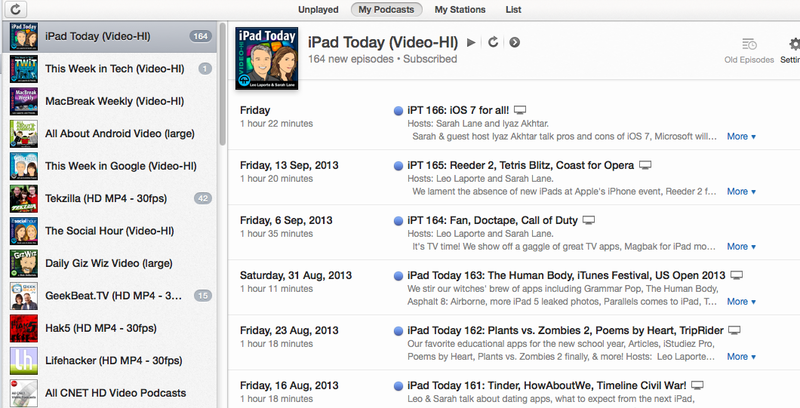 From the list view, you'll notice pages such as "My Podcasts" and "My Stations". To manage individual podcast select "My Podcasts". On the left column is a list of individual podcast, on the right is the detailed list of episodes. To manage how each podcast is downloaded click Settings on the right corner in the details pane. You can manage how each podcast handles the download. On top of that you can determine the sort order and the play order. Although I did not experience any episode lost, I have some minor complains about the new iTunes. Under My Podcasts view, the list view on the left column did not sort my podcast in any order. It seems random. Some of my podcasts are split into two. As usual, iTunes is still very resource intensive and slow. There are some internet users experience lost of their podcast episodes after this upgrade. Personally, I did not experience such lost. Those who experience such lost mentioned the options of podcast sync as the cause. I did not turn on podcast sync. I do not know what happen when you turn on podcast sync, but to turn it off go to preference and under "Store" uncheck "Sync podcast subscription and settings". 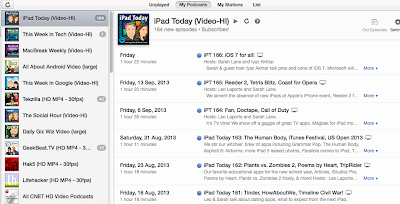 Apparently, to sync podcast subscripts you need to share details about your library with Apple. Finally, I put up this post quickly because I was searching for solution with the podcast "problem". Please comment if you encounter different problem. I hope you find this article useful. The following instructions is a simplified procedure to create a dynamic library. Please note that the actual implementation of dynamic library is very complex if the library is very large and multiple users or versions are involved. 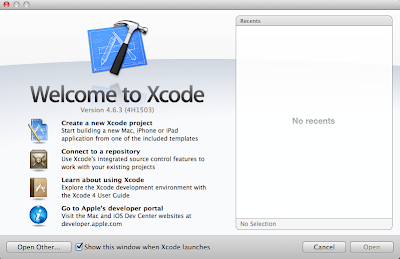 Please consult the Xcode user guide for more information. 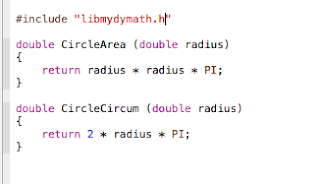 To create a dynamic library so that we could reuse all the custom math functions for other programs, we will split the function declaration into libmydymath.h. 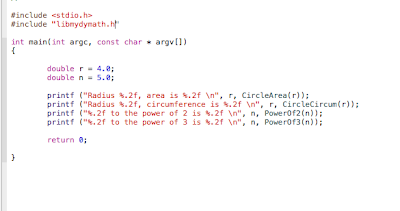 Then, we place the functions for circle in mydymath1.c and the power functions in mydymath2.c. 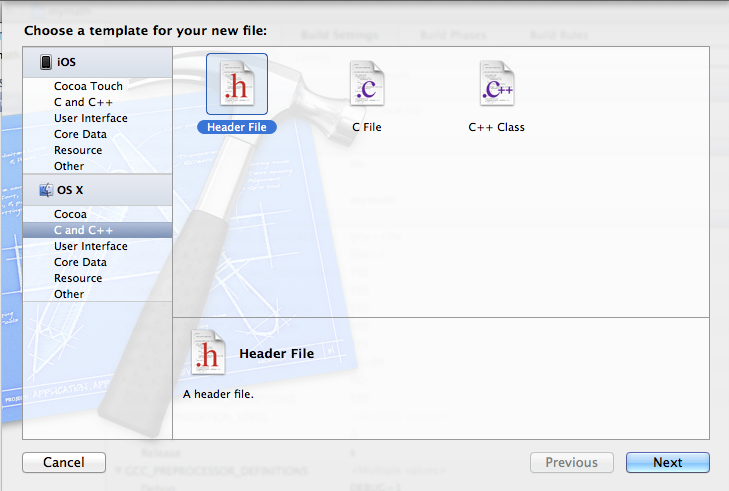 Note: You can have many C program file with just one header file such as lib.h, lib1.c, lib2.c ... and so on. 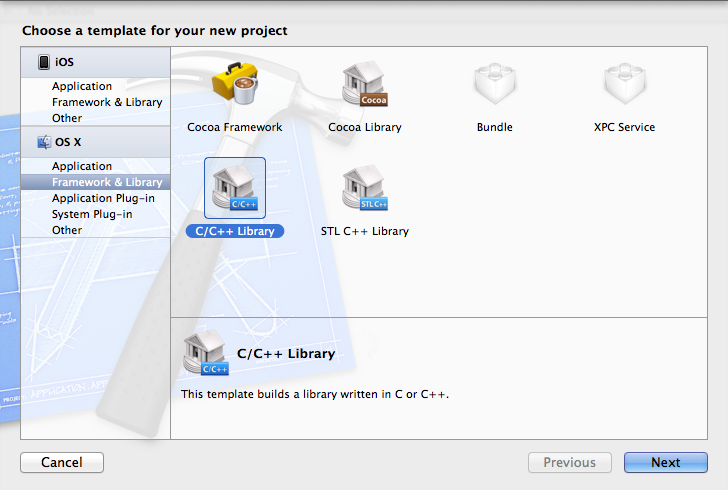 On the "Welcome to Xcode" page, select "Create a new Xcode project". 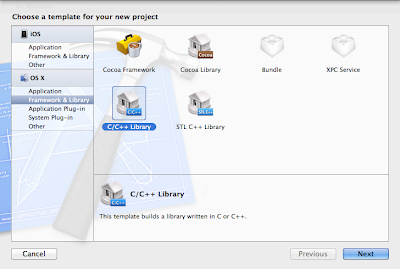 On the template page, select Framework & Libraries >> C/C++ Library. Click Next. On the options page, enter the name of static library. In my case, it is mydymath. Make sure that the type is set to Dynamic. You may want to check "Use Automatic Reference Counting" if your library implementation contains pointers. The naming convention of a library package must be prefix with lib follow by the name of the library and the file must end with .dylib. 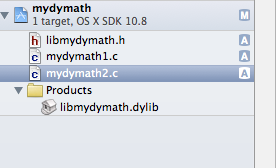 Therefore a typical library should be named as libmydymath.dylib. However, you can ignore the prefix and the extension when using Xcode. 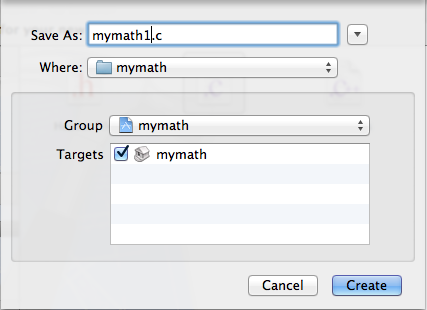 In this case, the library name mydymath is alright. Click Next. 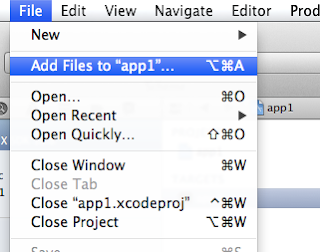 Then select the file location of your project. Click Create. Once the project is created you will notice that the target is automatically name libmydymath.dylib. 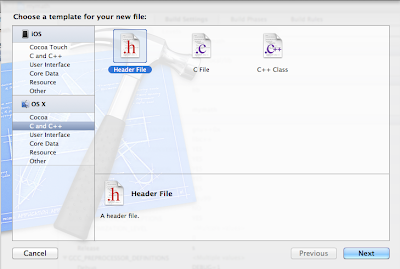 On the template page, select "Header File" and click Next. 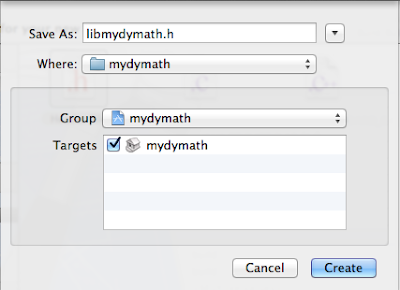 On the Save As dialog page, enter the name of header file libmydymath.h. Make sure the targets mydymath is checked as shown below. Click Create. 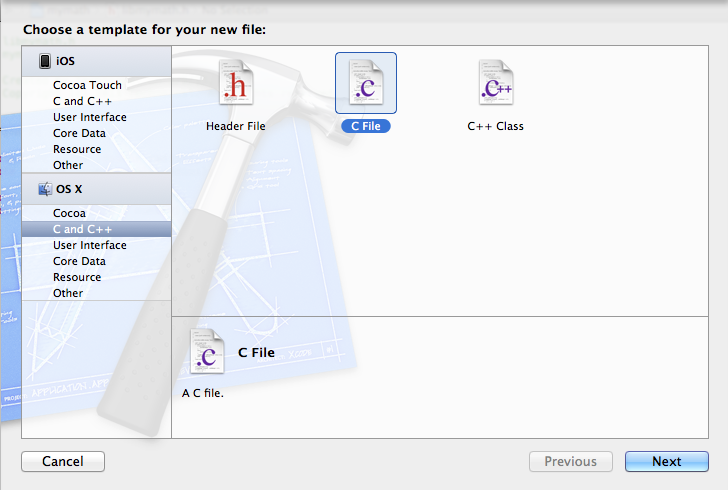 On the template page, select C File. Click Next. On the dialog box, enter the first program as mydymath1.c as shown below. Click Create. To create the next implementation use the same procedure as above. You should have the following files in your project. There are many ways to include a dynamic library into a projects. Listed below are two simpler methods. Select File >> New >> Project.... 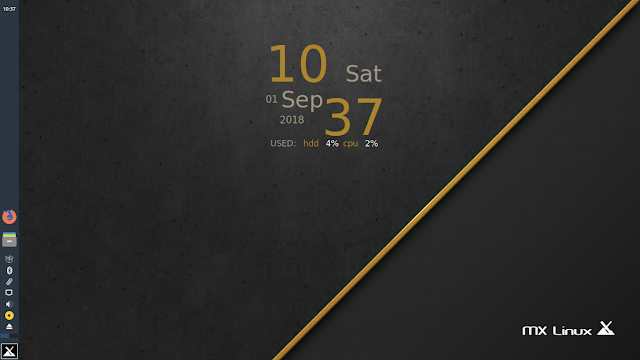 Select Applications and Command Line Tool. Click Next. On the options page enter the program name app1. Make sure that the type is set to C. You may want to check "Use Automatic Reference Counting" if your library implementation contains pointers. Click Next. 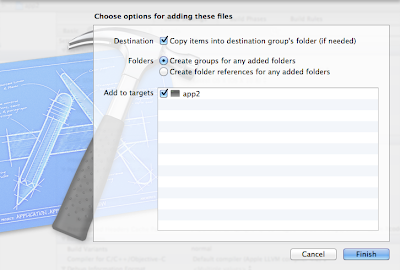 Enter the location of your file and click Create. 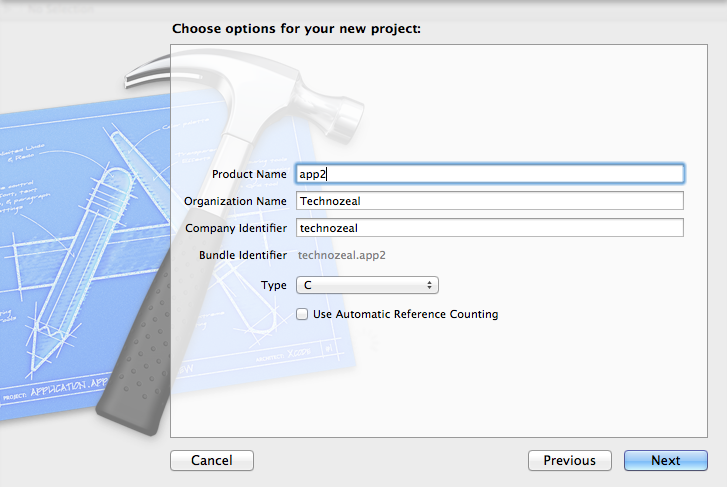 Select File >> New >> Project.... Then select Applications and Command Line Tool. Click Next. On the options page enter the program name app2. Make sure that the type is set to C. You may want to check "Use Automatic Reference Counting" if your library implementation contains pointers. Click Next. 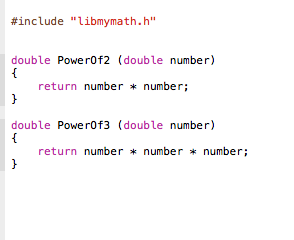 The second method is to just copy the product (libmydymath.dylib) and header file (libmydymath.h). Open your dynamic library project and your application program. Stack them as shown below. 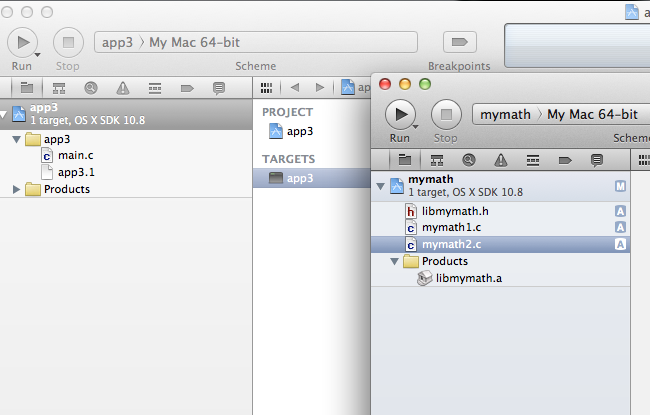 Then drag the file libmydymath.h and libmydymath.dylib to your current application project. Check "Copy items..." and "Add to targets". Click Finish. Select app2 project file (blue icon) and select Build Phases in the middle. See below. On the lower right corner, click Add Build Phase and select Add Copy Files. On the new Copy Files box, set Destination to Product Directory. 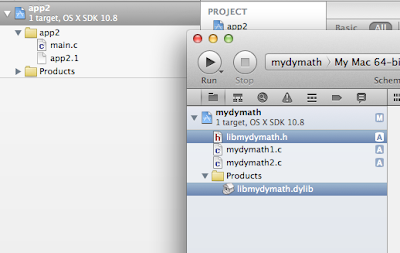 Click the + sign and add the dynamic library libmydymath.dylib as shown below. 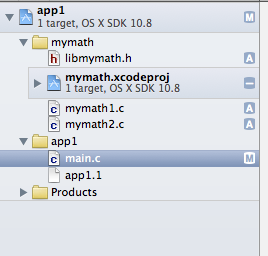 Method 2 is much cleaner if your dynamic library is very large. If your library implementation is not big, first method is good enough. The additional build phase step in method 2 is to copy the dynamic library and place the file together with the application binary file so that when the application runs, it could find the dynamic library. 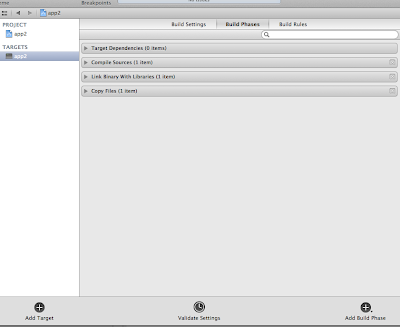 If you intend to place the dynamic library at /usr/lib, please refer to the Xcode user guide. Please note that this example does not involved in multiple versions of the same library. I've also not cover the actual packaging and distribution of the dynamic library itself. My final word is dynamic library implementation is a very complex subject, please conduct more research. For those who are not familiar with static and dynamic library, the differences between static and dynamic library is the way it was compile and run. To use a static library, the application and the static library must be present during compilation. The compiler will extract the code from the static library and incorporated into the application program. You'll have only one application binary file. When using dynamic library, the compiler do not incorporate the code from the dynamic library into the application program. The application program will load the library during runtime. In this case, you'll need to deliver two binary files to the user; the main application binary and the dynamic library file. The advantages of using dynamic library are smaller application size since the library code is not incorporated in the application program and it may reduce memory usage when since the library is loaded only when the function is needed. 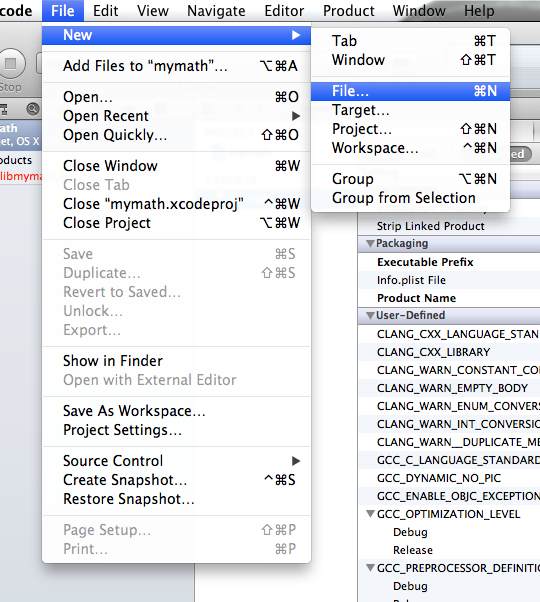 There are two usage of dynamic library in Mac OS X. The first usage is to load the library when the application is loaded. 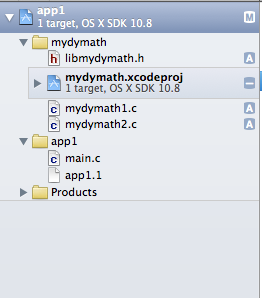 For preparation of such usage, you need to link the dynamic library while compiling the application. The second usage is to use the library as runtime-loaded library, in this case, the library is loaded when the application call for it using command such as dlopen in the application program. The implementation of such usage is beyond the scope of this article. To create a dynamic library so that we could share and reuse all the custom math functions with other programs; we will place the function declaration into libmymath.h. 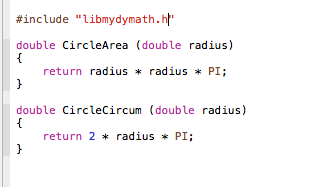 Then, we place the functions for circle in libmymath1.c and the power functions in libmymath2.c. 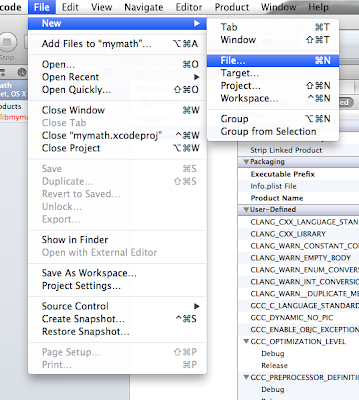 In Mac OS X, you can create dynamic library using the command gcc or clang or libtool. The naming convention is a little different in Mac OS X. The library is prefix with lib and end with extension .dylib. Before the extension you can put in major release and minor release. The major release can be an alphabet or a number. 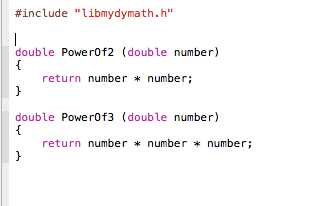 An example would be libmymath.A.dylib or libmymath.1.dylib or libmymath.I.dylib. You can also specify the minor revision which should be after the major version symbol. Alternatively, you can specify it during compilation. 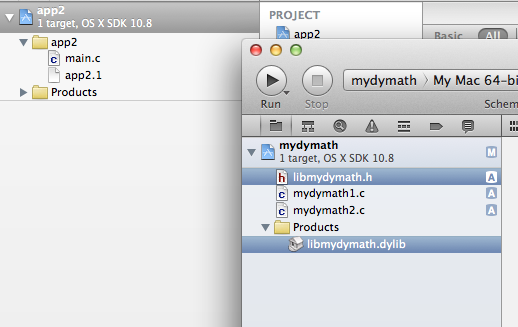 The standard location for dynamic library is at /usr/lib. The standard location for header file is at /usr/include. Please note that in Max OS X the linker ld is use with dyld, gcc is the symbolic link to llvm-gcc. 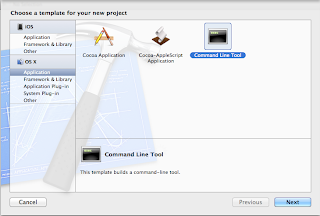 To check the library dependencies of a particular application program use the command otool. Please note that using dynamic libraries is a very complex operation. The above tutorial is to give you a simple idea about using dynamic library in the simplest form. If you have more complex requirement such as exposing only some of the function in the program and hide internal function, you might need to use EXPORT in the C program file and use -fvisibility=hidden during compilation. There are many issues to consider when there are multiple dependencies and multiple versions involved. 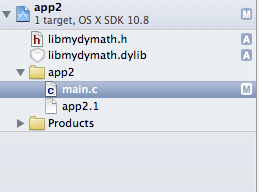 You might also need to use dlopen command to open the dynamic library. For more information pleaser refer to Mac Developer Guide on Dynamic Library Programming. 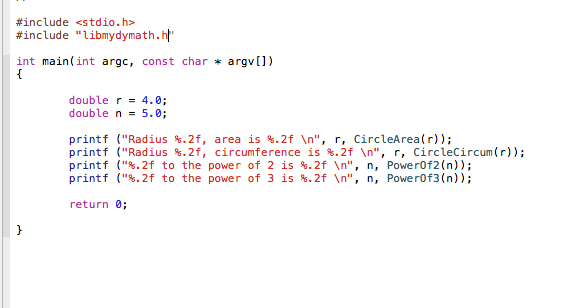 We create a static library so that we could reuse all the custom math functions for other programs. 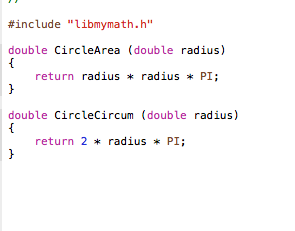 In this example, we will place the function declaration into libmymath.h. 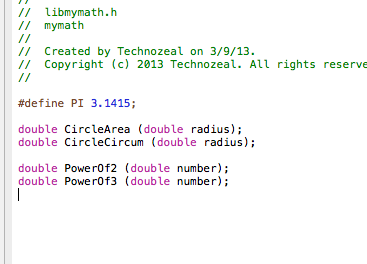 Then, we place the functions for circle in mymath1.c and the power functions in mymath2.c. On the options page, enter the name of static library. In my case, it is mymath. Make sure that the type is set to Static. You may want to check "Use Automatic Reference Counting" if your library implementation contains pointers. The naming convention of a library package must be prefix with lib follow by the name of the library and the file must end with .a. 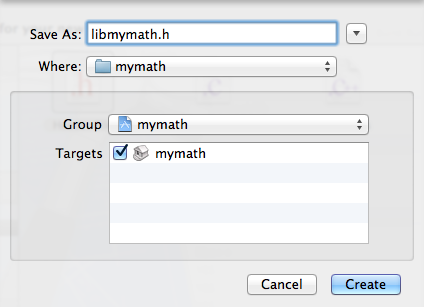 Therefore a typical library should be named as libmymath.a. 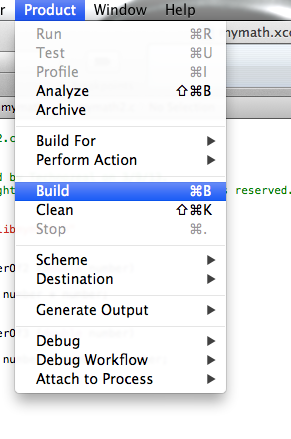 However, you can ignore the prefix and the extension when using Xcode. 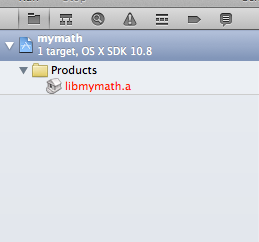 In this case, the library name mymath is alright. Once the project is created you will notice that the target is automatically name libmymath.a. 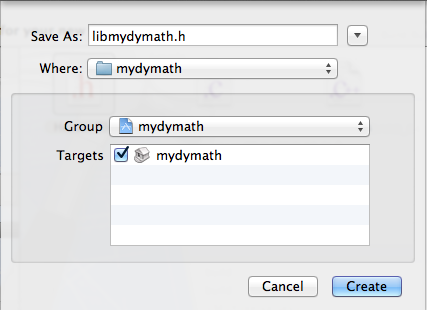 On the Save As dialog page, enter the name of header file libmymath.h. 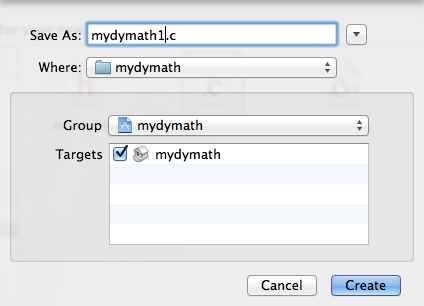 Make sure the Targets mymath is checked as shown below. Click Create. 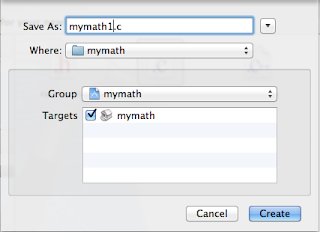 On the dialog box, enter the first program as mymath1.c as shown below. Click Create. 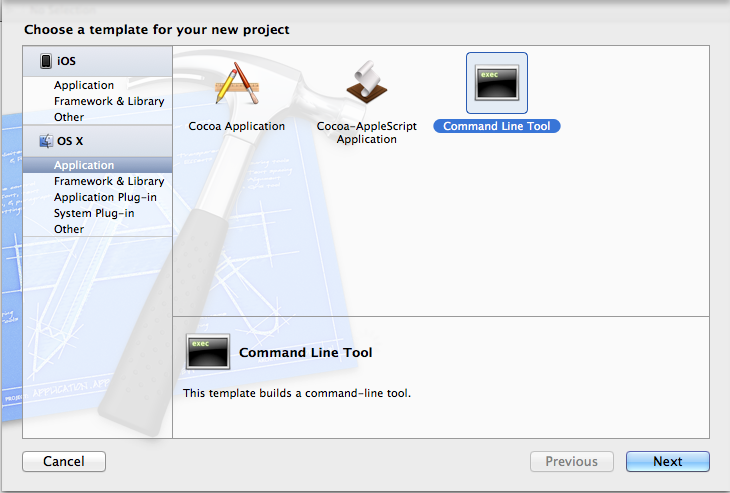 Select File >> New >> Project.... On the template page select Applications and Command Line Tool. Click Next. This is the most important section in this tutorial. To use the static library you've just created, you need to add the static library to your current project. 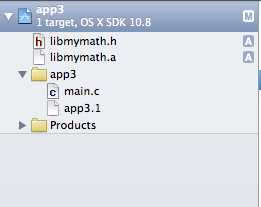 The second method is to just copy the product (libmymath.a) and header file (libmymath.h). Open your static library project and your application program. Stack them as shown below. 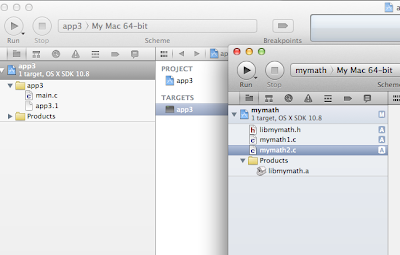 Then drag the file libmymath.h and libmymath.a to your current application project. 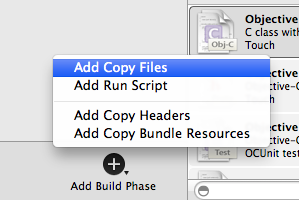 Check "Copy items..." and "Add to targets". Click Finish. Method 2 is much cleaner if your static library is very large. If your library implementation is not big, first method is good enough. One way to distribute the static library for different user is to copy the header file and the static library to a share folder. 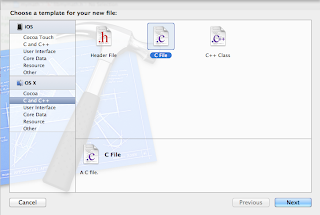 Other users will will use Method 2 to copy the library and header files into their project. 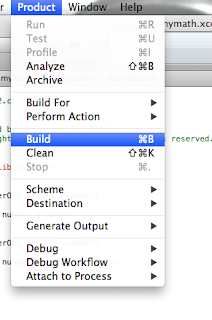 For more complex multiple user scenario, please consult the Xcode user guide. Please note that the methods are the simplified methods of using static library. Instead of copying files to your projects, you can also change the build settings to reference headers file and library file elsewhere. 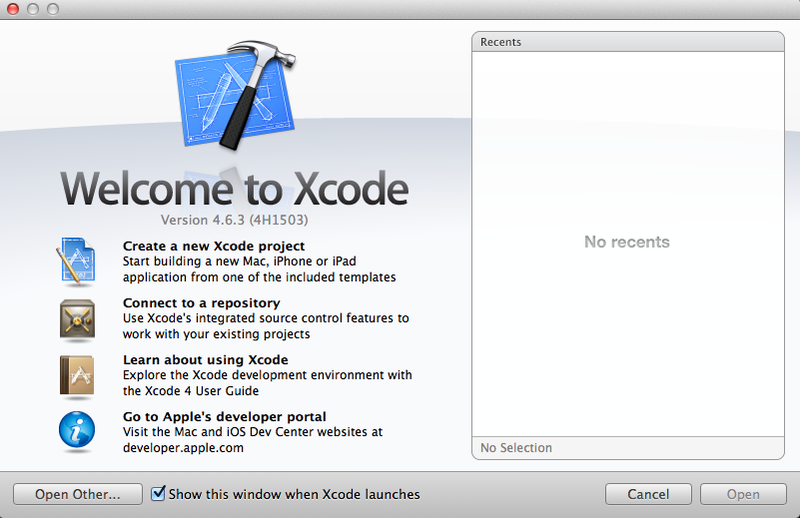 Please consult the Xcode user guide to explore further options.